It is difficult to overplay the importance of the book of Galatians in terms of the Reformation - and especially to Martin Luther. Many of the Reformers regarded Galatians to be of high importance, in part, because they saw Galatians as the message of Romans in miniature. 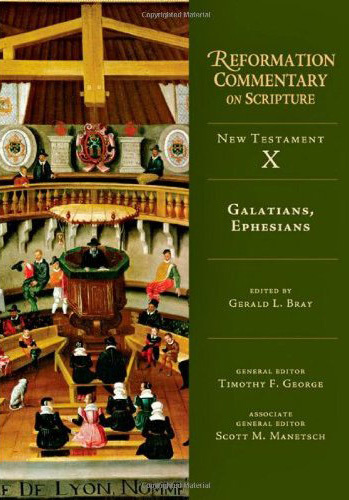 It is fitting, then, that the first volume of the Reformation Commentary on Scripture is Galatians & Ephesians. I'm not exactly prepared to do a full review of this volume, but I spent many hours reading and looking through it over the weekend and thought I would share some reflections on what I see in it that may be of benefit or interest to our readers. Since the RCS is a new commentary series (Galatians/Ephesians was only released three months ago, and the next volume, Ezekiel/Daniel is set to be released this coming March) it might be fitting for me to mention that this is set to be a 28-volume series which composes verse-by-verse commentary on the text. The body of the commentary is made up of the contents of sermons and commentaries of sixteenth century Reformation thinkers. While the editors speak of wanting to be broad in their spectrum of included thinkers, it is safe to say that the Anabaptist tradition is definitely under-represented in Galatians/Ephesians. I'm okay with that, though others may not be. Some may be interested in exactly who makes the cut in this book. Certainly Calvin and Luther are the most dependable presences in the book, appearing on nearly every other page (at least). However, there is a very noticeable presence of David Dickson, William Tyndale, Rudolf Gwalther, Martin Bucer, Johannes Brenz, Heinrich Bullinger, Wolfgang Musculus, Kaspar Olevianus, and William Perkins. There are also lesser-known thinkers such as John Prime and Robert Rollock, whom I was very glad to be introduced to by this volume. Many of the writings in this volume have never been translated into English before, and so there is a sense in which much of the content of this book has never been enjoyed by the English-speaking church until now. Galatians/Ephesians opens with a helpful introduction to Galatians and Ephesians and sets it specifically within the context of the 16th century Reformation. They discuss the impact the book had on Martin Luther as well as other Reformers. I found the introductory essay on Galatians and Ephesians in the context of the Reformation to be of particular value. Each section of Scripture is divided into pericopes with an ESV reading of the text leading off each section, followed by comments on the text in their appropriate place. As you read the comments of the Reformers you begin to see that the editors are moving you forward through the words of the text, and this movement happens very naturally. I personally enjoyed just picking the book up and reading the first twenty pages of commentary straight through. Before you know it, you have moved through the first three verses of Galatians and have heard from fifteen different Reformers, all of whom have minute diversity and general unity in their understanding of the Pauline text. Each author is introduced by a heading which is meant to quickly summarize the meat of the quote. The quotes from the Reformers range from a single sentence to several pages (I came across a couple of two-page quotes from Musculus in the first 20 pages or so). At the end of the quote is the title of the work which the quote came from. Luther, of course, is famed for his Galatians commentary, and it only makes sense that he is such a large presence in this volume. In spite of my love of Luther's polemical style, it is my hope that there will be more balance in future volumes between Luther and the other Reformed theologians. From an aesthetic perspective, the first thing that strikes the reader is the extremely impressive binding. It looks good with, or without the dust jacket. Another thing, with regard to design, is that it sits open well. It is on the larger end of the spectrum with regards to its dimensions. Wide margin, a pleasantly-sized typeface, and sturdy binding all combine to make this one of the more attractive commentaries out there. 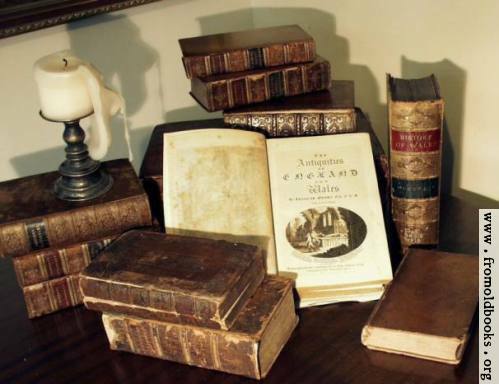 The editors of this series have done a great service to the Church by producing these volumes and giving pastors and teachers such unequalled access to the Reformers as they taught through the Bible. And really, what better companions could we choose to go through the Bible with than these great and godly men? All in all, I am perhaps as excited as is possible for future volumes in this series. I want to recommend, while it is still an option, that our readers consider subscribing to the RCS through Intervarsity Press. I received this first volume as well as Timothy George's book Reading Scripture with the Reformers for $14.98 (that's with shipping included). The next one will just come to me in the mail and I'll pay $30 for each volume. That averages out to around $10 a month (cheaper than Netflix!). I'm a huge fan of this commentary as well and am very excited for future volumes. This reformed baptist doesn't mind the lack of Anabaptist authors. I have more in common with the proto-presbys than I do them.